Coral reefs, the lush habitats that are home to perhaps one-quarter of the ocean’s species, are dying off at an alarming rate. The United Nations projects that if ocean temperatures rise as forecasted, none of the 29 reefs listed as UNESCO world heritage sites will still house functional ecosystems by the year 2100 . Such bleak possibilities have spurred scientists to prepare for the worst by thinking outside of the box. Using an antifreeze solution laden with gold particles and quick-thaw lasers, a Hawaii-based team has cryogenically frozen and successfully thawed coral larvae for the first time. The breakthrough could enable the biobanking of coral species to preserve the vanishing diversity of reefs around the world. Cryogenics might also aid restoration efforts by maintaining a frozen stock of coral larvae, ready to repopulate dead or dying reefs. “We can freeze larvae, we can bring them back, and they are alive,” says Mary Hagedorn, a coral biologist from the Smithsonian Conservation Biology Institute (SCBI). The next steps, she notes, are ensuring the corals can function viably on a reef and scaling up the process to work on vast numbers of corals. Hagedorn co-authored research recently published in Scientific Reports detailing how larvae of the mushroom coral ( Fungia scutaria ) were successfully flash frozen and revived to develop normally and swim for up to 12 hours. Scientists would be thrilled if the world’s decimated coral reefs could enjoy such a successful second act. Reefs and the staggering biodiversity they host are under siege from a rapidly changing climate. The widespread consequences even for landlubber humans include decreased food supplies and destructive erosion of populated coasts. And major reef deaths aren’t merely a matter of projection, they’re already a reality. A massive 2014-17 coral bleaching event stressed 75 percent of the world’s reefs and killed some 30 percent of corals on the famed Great Barrier Reef . Such episodes are becoming so frequent that the recent National Climate Assessment suggests coral bleaching will be an annual event in the Hawaiian Islands and American Samoa by 2040. Corals can adapt to changing environments, but in some places the pace is simply too fast. The possibility of icing and reanimating them may help to buy some time. Freezing coral proved relatively easy, Hagedorn says. 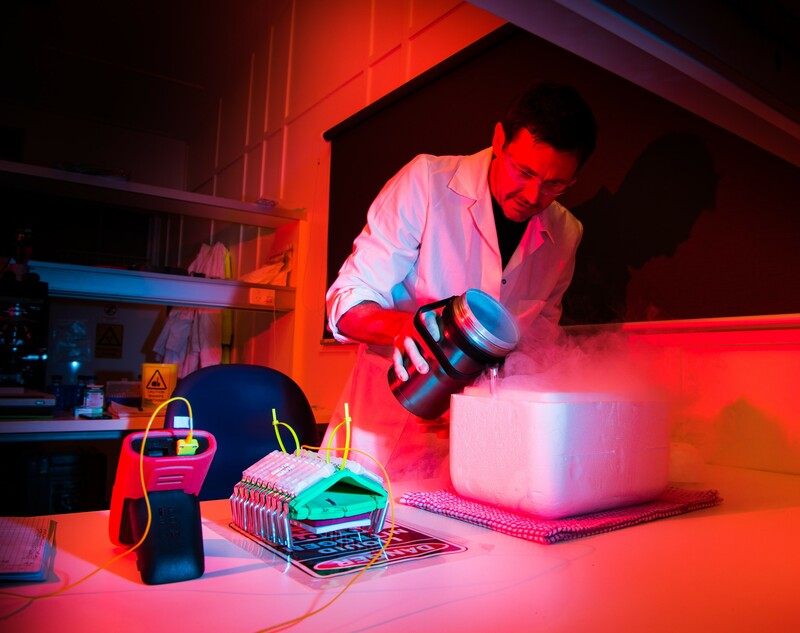 The larvae were simply dunked into liquid nitrogen after being treated with a type of cryoprotectant “antifreeze” specially constituted to help them freeze evenly without the formation of ice crystals. “Ice crystals are really our nemesis,” she says. 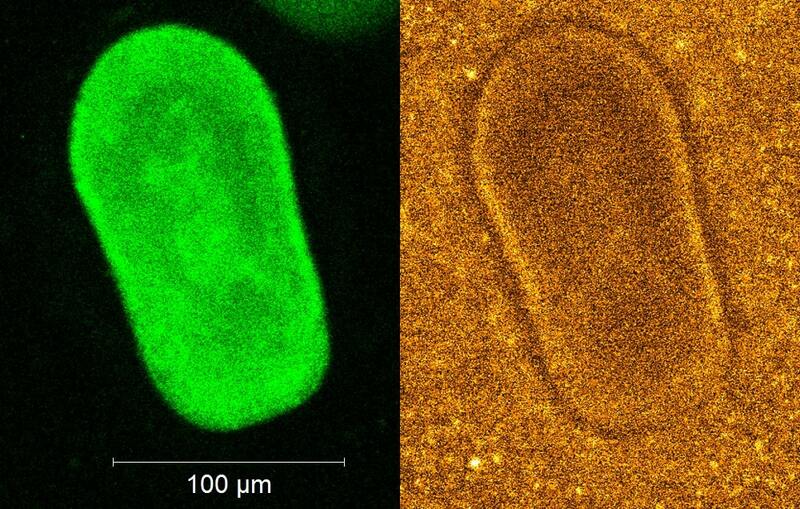 “There may be some tiny nuclei that form during the freezing process and you can think of those as snowflakes. But you don’t want those snowflakes to grow into larger ice spears that destroy the cells.” Counterintuitively, the ice crystal problem is actually at its worst during warming of frozen specimens. Most cell death occurs during the warming process, but scientists can prevent ice crystals from forming by thawing the coral larvae quickly. To achieve speed, the team used a technique that Hagedorn honed on Zebrafish embryos with a one-two punch of solid gold particles and laser light. Hollywood lasers may be hot enough to vaporize an alien, but lab versions still couldn’t transfer heat quickly and evenly enough to thaw a tiny embryo without help. So the scientists introduced nanogold particles distributed throughout the antifreeze solution, which absorbed light from the laser and turned it into heat that brought the coral successfully out of its deep freeze. “It’s thawing within a second,” Daly says. Freezing viable corals has the potential to maintain future biodiversity by preserving the entire range of coral genetics. “We have no idea how we might be able to use this material in 100 years, but doing this now while we still have a lot of diversity on reefs, and are losing it very rapidly, is really important,” Hagedorn says. Fourteen species of coral sperm and embryos collected on the Great Barrier Reef are already frozen at Australia’s Taronga Western Plains Zoo , and ten others at the USDA’s National Animal Germplasm Program in landlocked Fort Collins, CO.
Those stored sperm would require pairing with live eggs, but Madeleine van Oppen, of the Australian Institute of Marine Science and the University of Melbourne , says this accomplishment changes the game by demonstrating the ability to freeze a complete organism that, hopefully, may be thawed out to live and grow. Unfortunately, that future isn’t here quite yet. 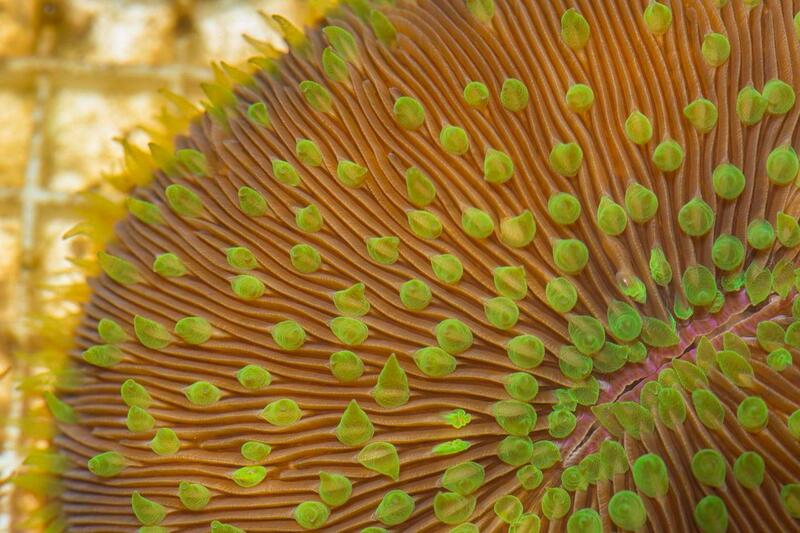 The mushroom coral was frozen because its larvae were small and easy to work with. Now the team is challenged with tweaking everything from the antifreeze composition to the laser settings so that larger, reef-building corals can be similarly preserved. “We do think it’s going to be scalable,” Hagedorn says. Another challenge is vastly expanding the size of the operation so it might be used for reef restoration. “We need to go from freezing hundreds of these things to hundreds of thousands in order to even get some coral to live on a reef,” Hagedorn says. 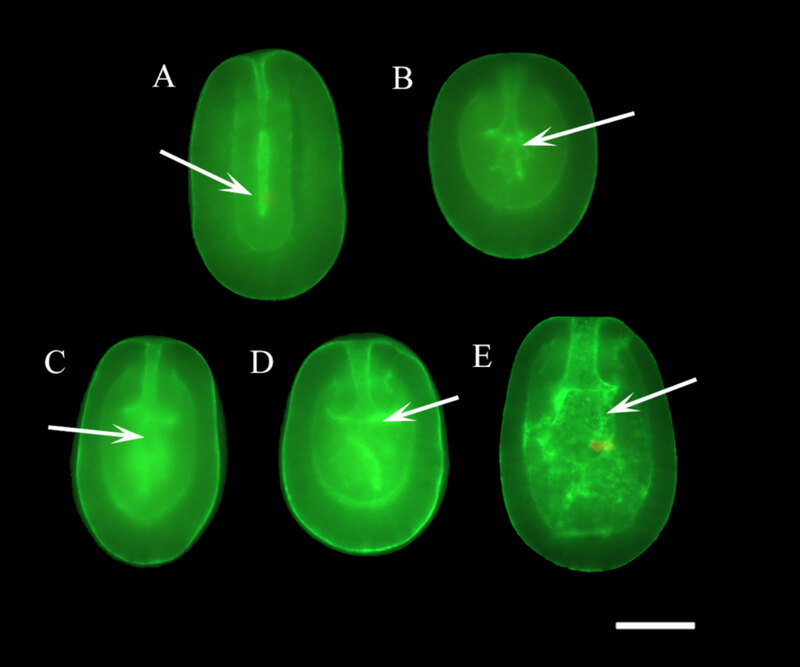 If such numbers of larvae can be cryogenically preserved, it raises the possibility of supercharging coral’s sluggish reproduction rates. Coral spawning occurs only when conditions are perfect, once a year, and just for a couple of days. Reintroducing once-frozen corals may not prove very successful in places where the conditions that caused reefs to die off in the first place still persist. But if coral environments improve, or if humans can create corals that are more resilient to future conditions, there’s a good chance we’ll have a population of thaw-and-serve cryogenic coral ready to take advantage of.